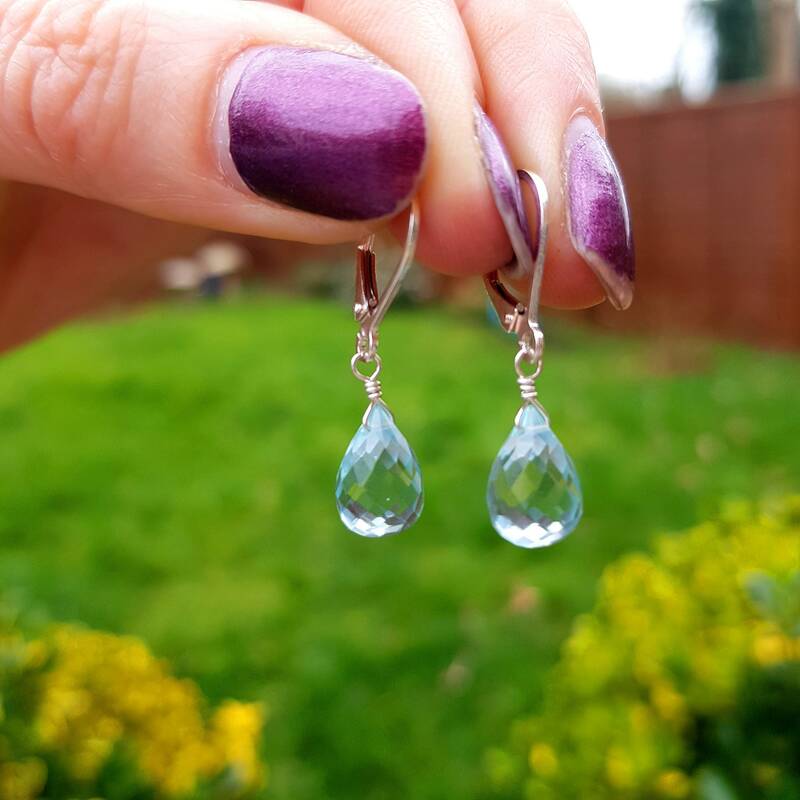 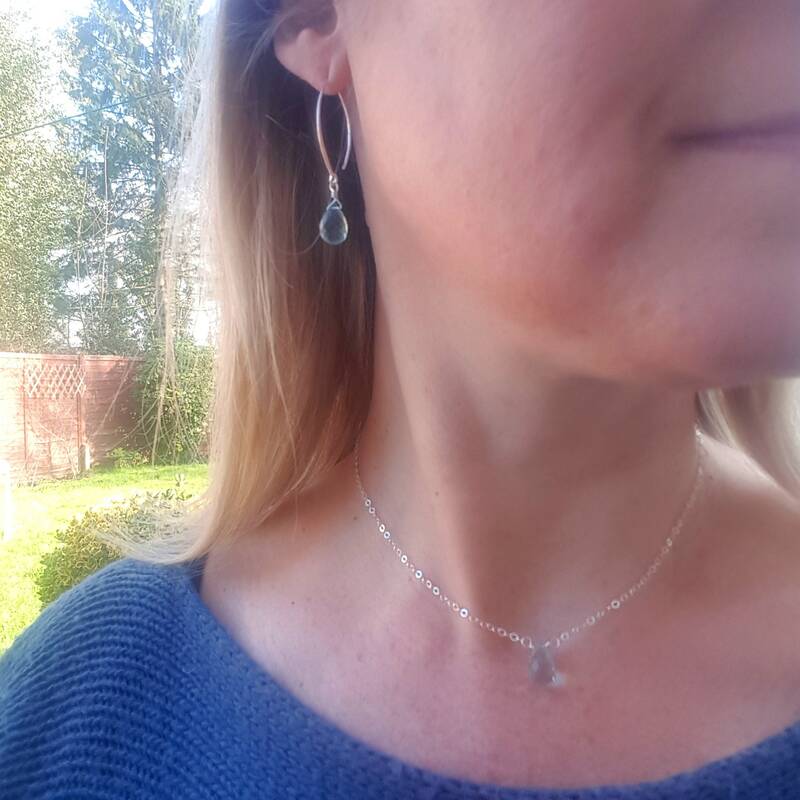 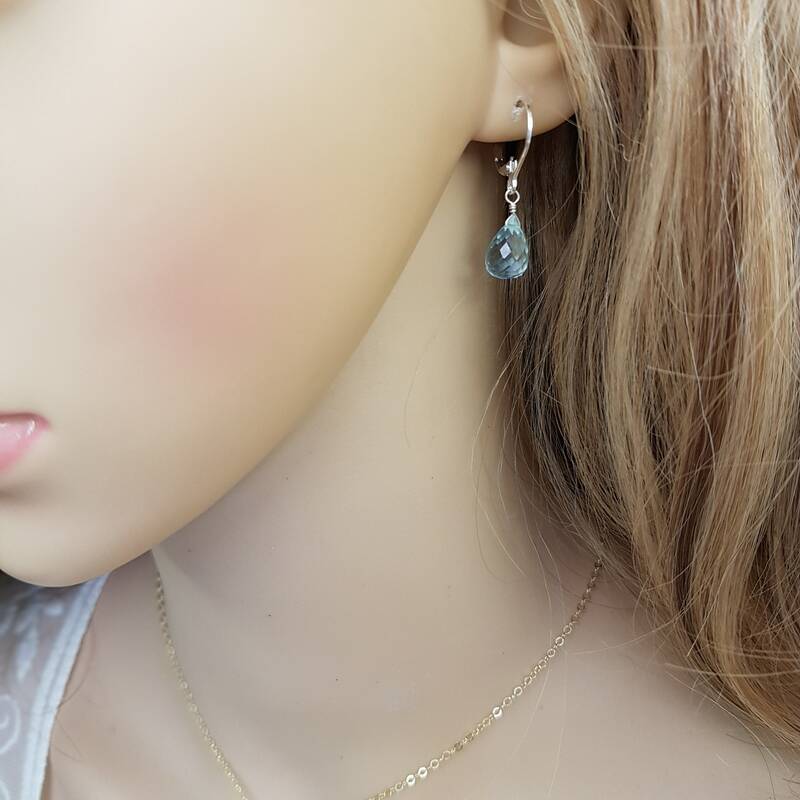 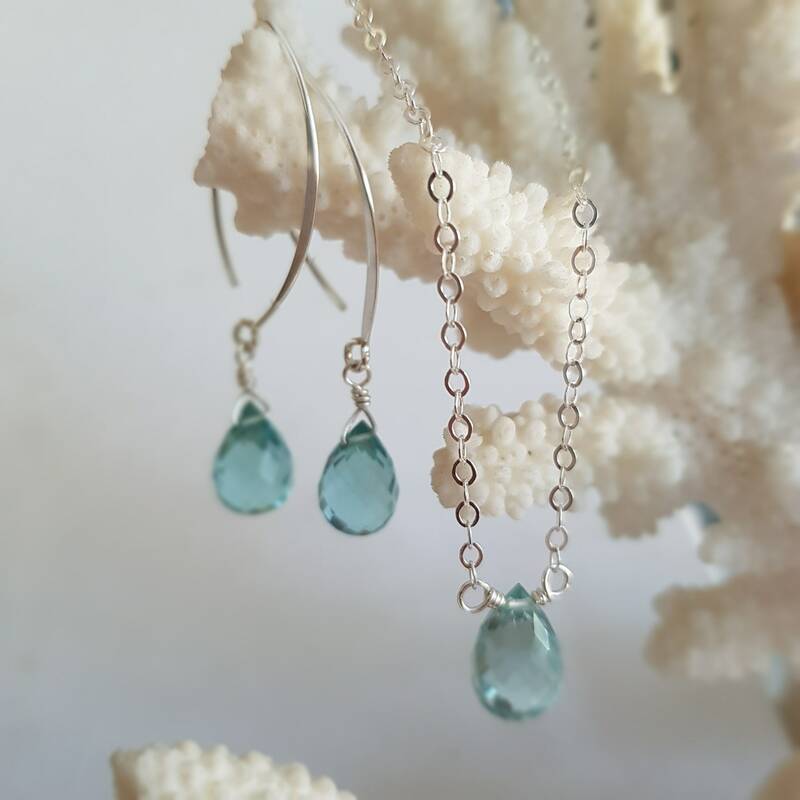 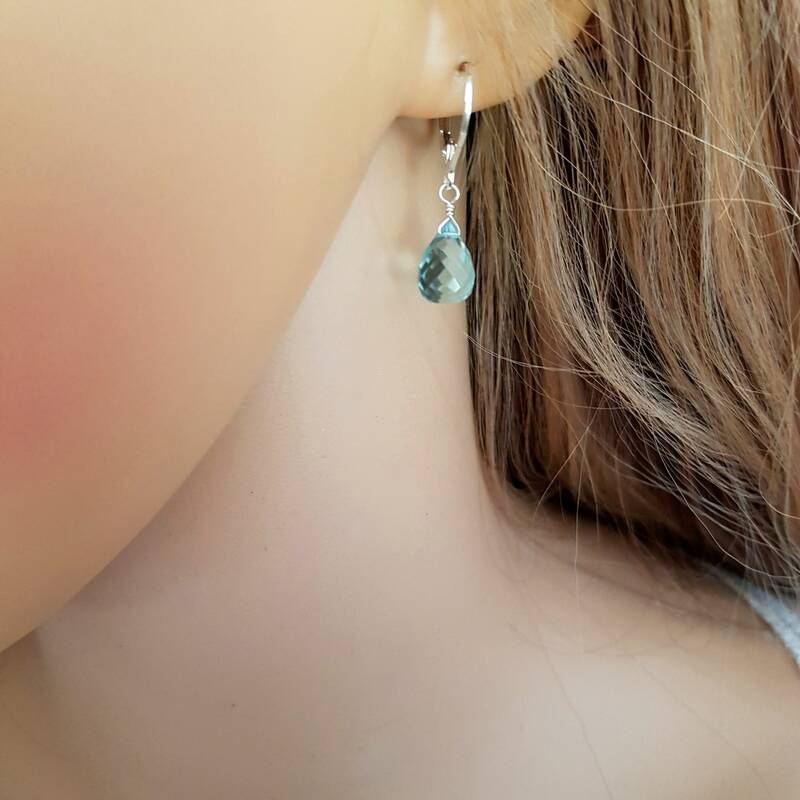 I named them "Aqua raindrops"
A pair of handmade Sterling Silver wire wrapped micro faceted AAA blue Aquamarine Hydro Quartz briolette teardrop gemstone beads dangling from Sterling Silver leverbacks (stamped). 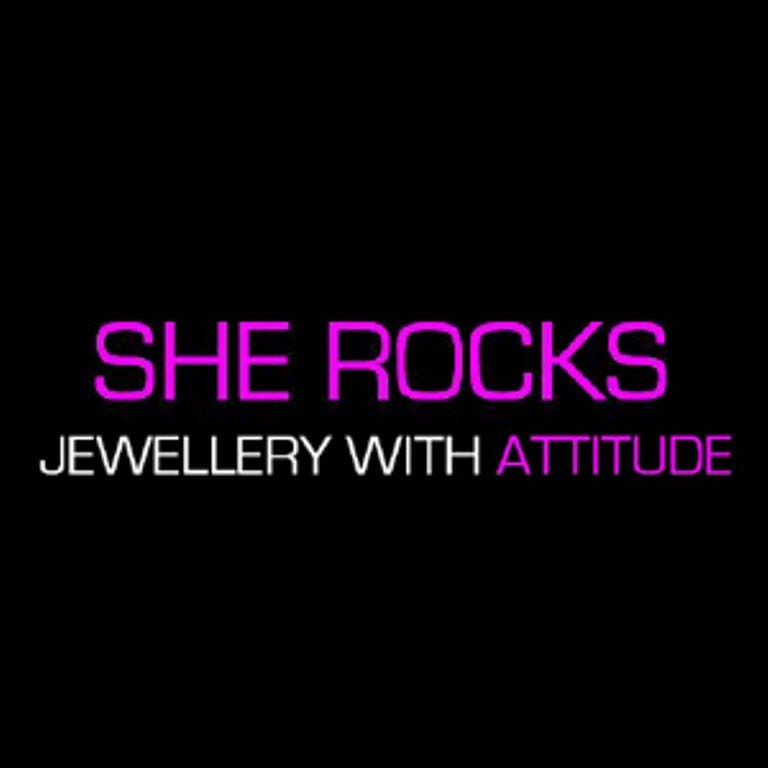 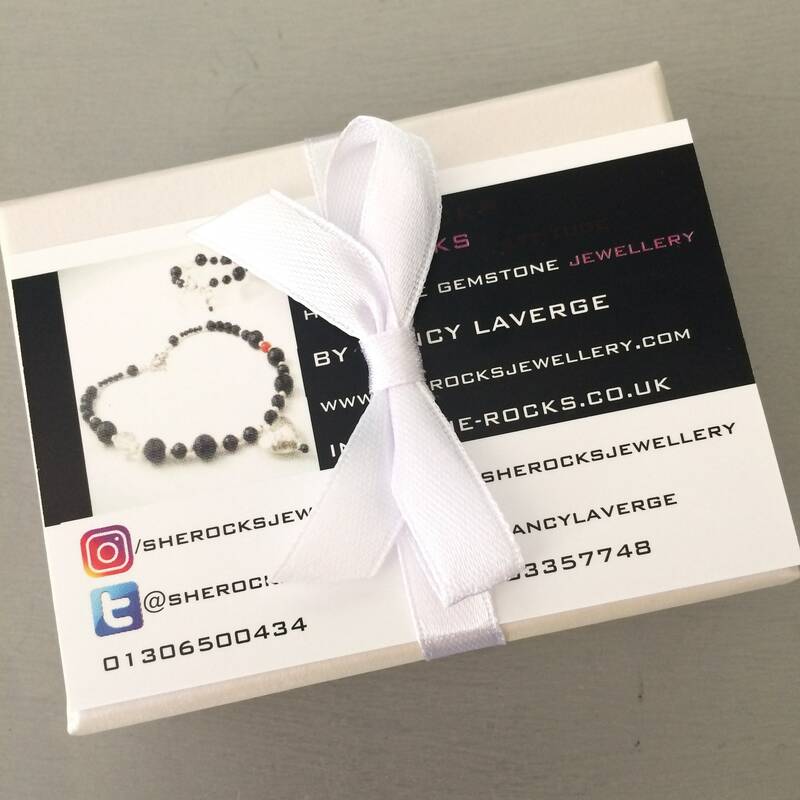 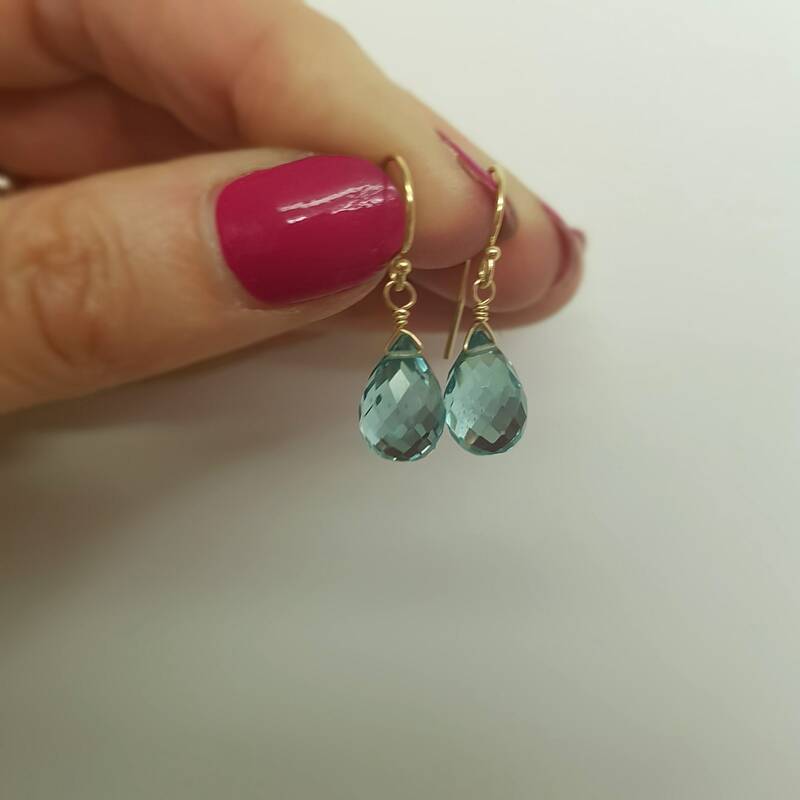 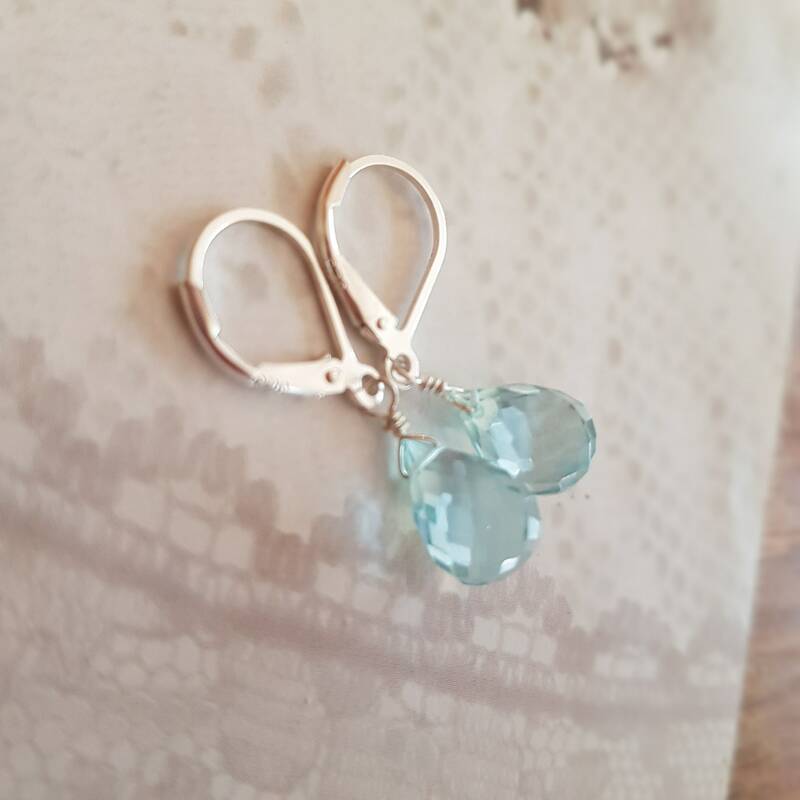 These Earrings will come in a pretty gift box with satin bow ready to give to a loved one. 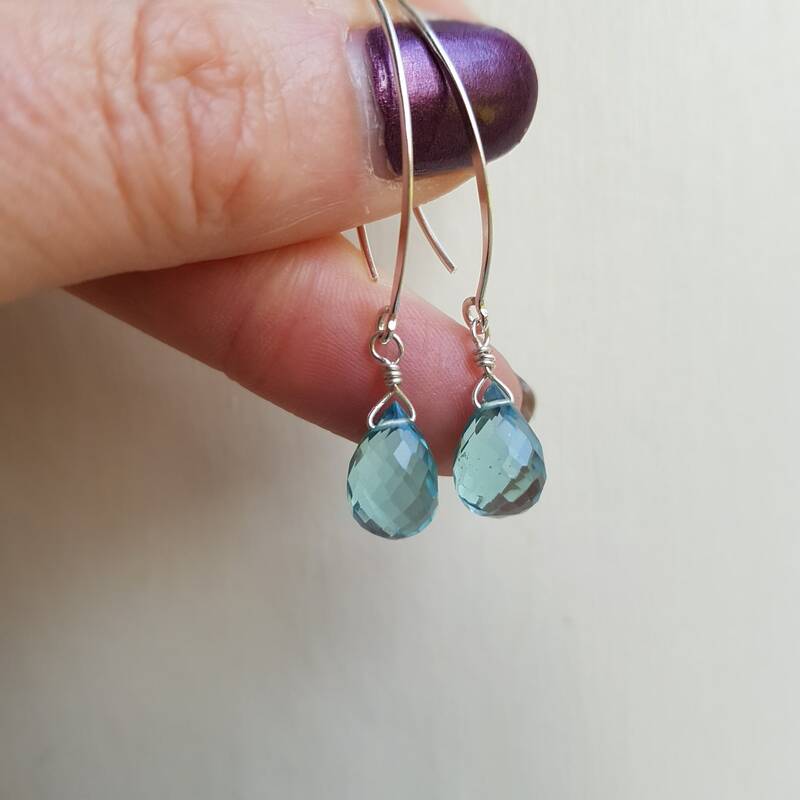 I also have a matching necklace to go with these earrings.